The Institute for Social Policy at the University of Warsaw is one of Poland’s oldest academic centres offering teaching programmes and research. It has some 600 students, over 40 academic staff and more than 30 years of experience in academic training, research and publications related to theory of social policy, labour market policies, family policy, migration and migration policy, local social policy, social welfare, the third sector programmes. The Institute’s research also include the field of international, European and comparative aspects of social welfare, social security systems, labour policy and social economy and social enterprise sector. The Centre for Civil Society Development is a research unit within the Institute. Its teaching and research activities concentrate on the reforms of European social policies, the challenges of the welfare mix and the functions of the third sector and social economy in social welfare delivery and the process of public governance. Main responsibility: Conceptualization of the third sector in CEE countries, external and internal barriers to third sector development. Additional responsibility: Advancing the measurement of the third sector; conceptual integration of findings and final report; stakeholder engagement and dissemination of results. Dr. Ewa Leś is Professor of Political Science at Warsaw University and Director of the Centre for Civil Society Development at the Institute of Social Policy. In 1992 she was senior-fellow in international philanthropy at the Institute for Policy Studies the Johns Hopkins University in Baltimore. She teaches family sociology, family policy, third sector and social economy systems in comparative perspective. 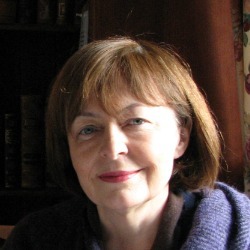 Ewa Leś was co-founder and president of the Polish Association of Social Workers. Her extensive community service experience includes consultation to diverse Polish and foreign public institutions and third sector organizations, among them the Presidential and Prime Minister Offices, the Polish Parliament, the Polish Ministry of Labour and Social Policy, the World Bank, OECD LEED Trento Centre for Local Development, UNDP. Prof. Leś has coordinated several major national and international research projects and has been a contributor in numerous conferences and books on Non-Profit Sector, Third Sector, Social Economy and Social Enterprise projects. Nałęcz, S., Goś-Wójcicka, K, (red. )(2013) Volunteering through organizations and other types of umpaid work outside own household (Wolontariat i inne formy pracy niezarobkowej poza gospodarstwem domowym - 2011). Główny Urząd Statystyczny (Central Statistical Office), Warszawa. 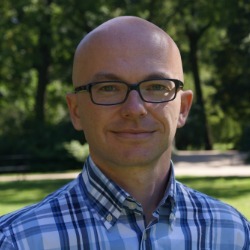 Bartosz Pieliński is an Associate Professor at the University of Warsaw’s Institute of Social Policy. 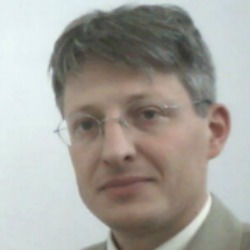 Here he has taken part in several research projects dedicated to the role of civil society in the Polish social policy. He also works at the Korczakowska Foundation, an organization dedicated to the promotion of Janusz Korczak’s legacy. Pieliński earned his PhD in Political Science at the University of Warsaw. Based on his research, he published various articles in a number of Polish journals. Pieliński, B. (2012). On the limits of the self-fixing society. Social economy and social exclusion (O granicach samonaprawiającego się społeczeństwa. Ekonomia społeczna a wykluczenie społeczne). In: K. Wódz, K. Faliszek, A. Karwacki, M. Rymsza (Eds.) New priorities and tendencies in social policy - occupational activation and integration (Nowe priorytety i tendencje w polityce społecznej – wokół integracji i aktywizacji zawodowej) (pp. 121-142), Toruń: Wydawnictwo Edukacyjne Akapit.